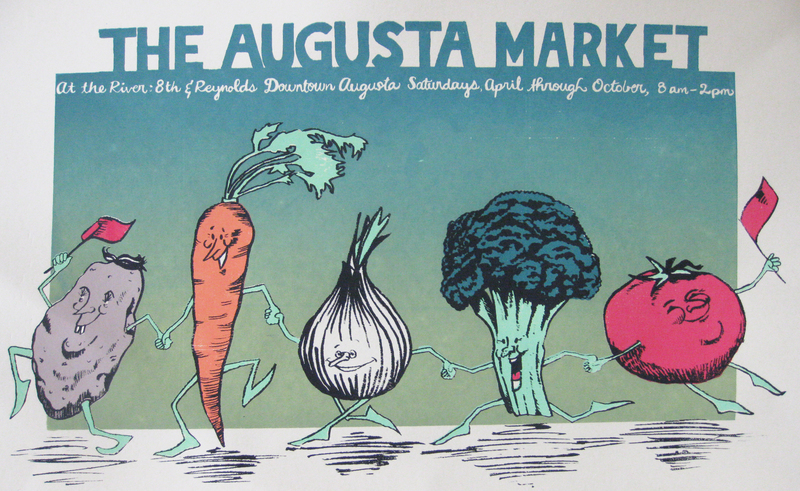 I love farmers markets. All of them. Growing up, I sold blueberries at the market in Blacksburg, VA every Saturday. It was instant gratification- people loved what I had to sell. Here in Augusta, I’m fortunate enough to be in the same situation- people want the bread I bake. I don’t have to be a salesman or push it on people, they come crowding over. So even though I am majorly sleep deprived every Saturday when you see me at the market, know that I LOVE, LOVE being there. 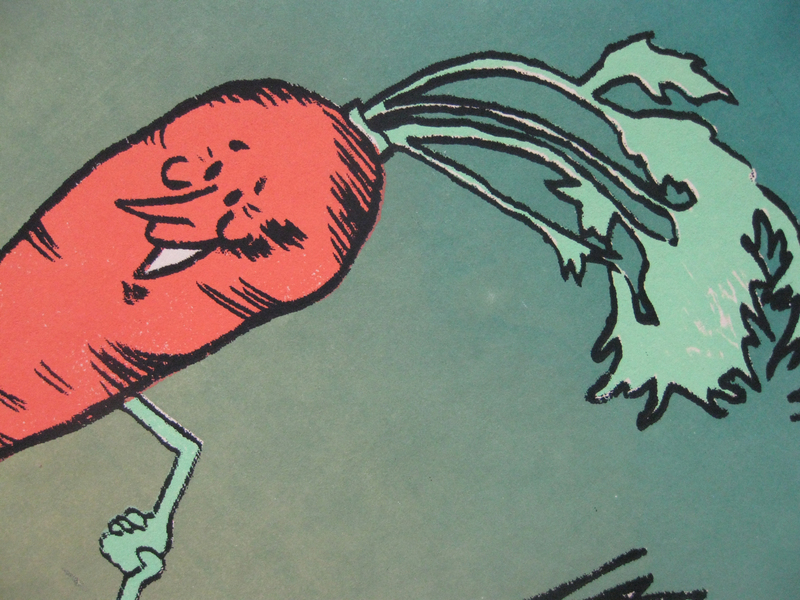 I was inspired by old ads from the 1940s with dancing vegetables and other inanimate objects. 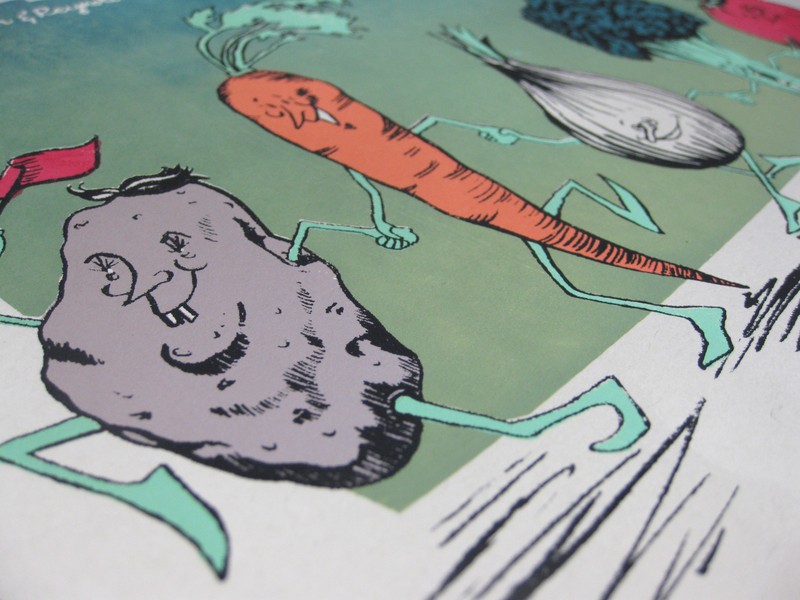 6-color screen-print on cement green French paper. I also made a small run of white versions. 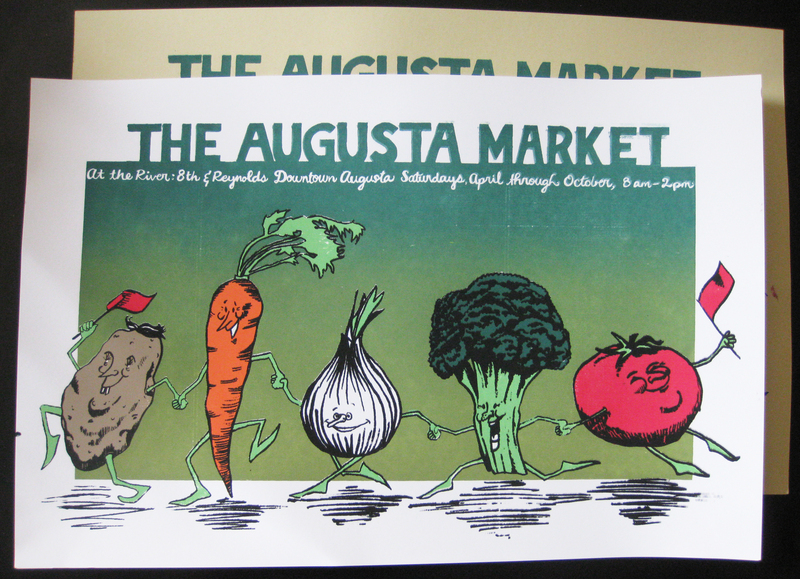 You can buy the posters at the Augusta Farmers Market, downtown every Saturday, 8th and Reynolds Streets, from 8am-2pm, and in my Etsy shop. People in Canada purchase more medicaments per person than any other area. The variety of remedies marketed by online drugstores is distinctively a contributing factor to prescription medicine abuse epidemic. What medications exist? Without fail, you should check with your dispenser to see whether one of these medicaments is a appropriate choice for you. Topics such as viagra or cialis are very pops for last year. Are you thought how to get medications, like Viagra, from the Web? Currently many users quest for the exact keyword cialis or viagra on Google. The most significant thing you must look for is viagra cialis. Anyone with sexual disorders need professional help. Some treatments will switch on couples therapy. Get in touch with your health and stay healthy for long years.